Home / Uncategorized / October is Physical Therapy Month! Fall on into any of OrthoRehab’s ten Montana clinics and chat with our Physical Therapy specialists about pain or injury. We’re here to help you and to share the wonderful benefits Physical Therapy can have in your life. 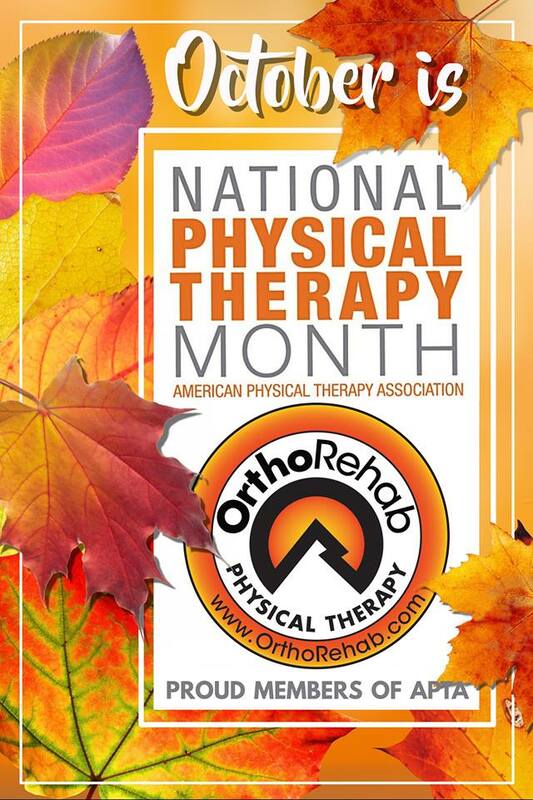 OrthoRehab is a proud member of the American Physical Therapy Assn. Find us at OrthoRehab.com!